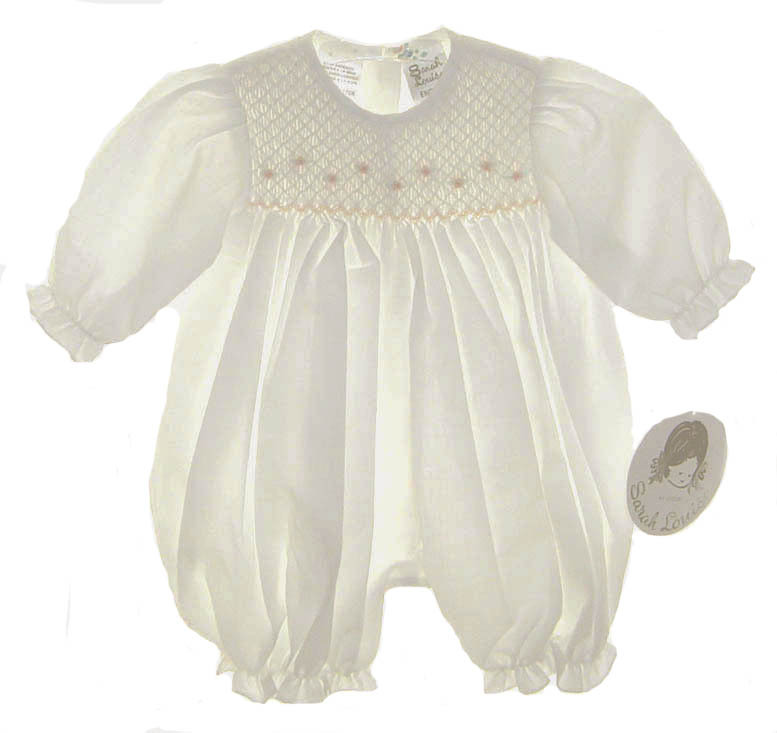 This precious little ivory cotton blend batiste romper is made by Sarah Louise, a top designer of beautiful baby garments. 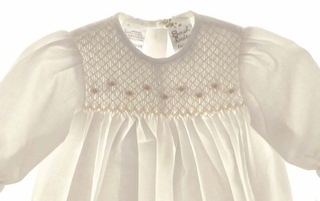 It features a smocked bodice delicately embroidered with tiny peach flowers. It has a simple round neckline. 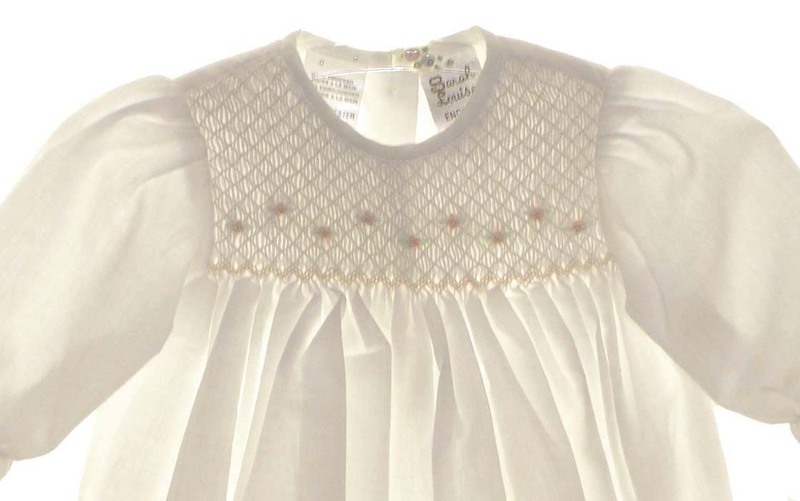 The long sleeves and leg openings are finished with smocked ruffles adorned with tiny embroidered blue rosebuds. The romper closes in the back with two small buttons and buttons in the crotch for ease in dressing. The perfect little bubble to bring your baby girl home from the hospital, for her first portrait, or her christening. Note: bubble is not as sheer as photo appears.